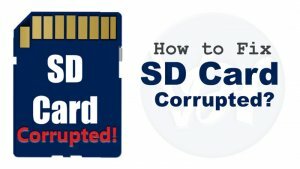 1 How to Fix the SD Card Corrupted? 1.5 #Method5: Repair SD card by Formatting. Hey friends, in this article we will Show you How to fix Corrupted SD Card with few easy steps. We have mentioned several methods to fix the SD Card Corrupted. Therefore if you are searching for the best methods to fix the SD Card Corrupted or to repair SD Card, then this article is best for you. Go through the article and follow the instructions. And with this, you can easily fix the corrupted SD Card. How to Fix the SD Card Corrupted? “SD Card Curropted” there can be so many reasons behind this. And lack of ability to assign the Drive Letters of your system can be one of the most common reasons for SD Card corruption. And this causes the files inaccessible. 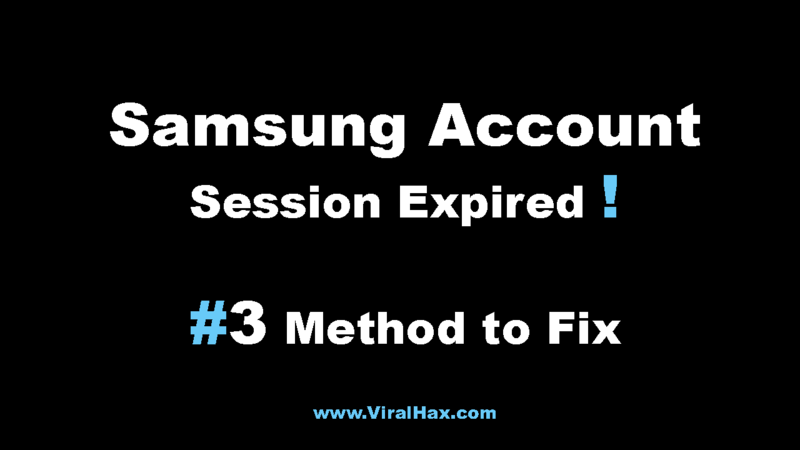 To fix this problem you have to follow the steps mentioned below. First of all, connect the storage media to the system. Then Right-Click on My Computer or This PC. Now click on the Manage option from there. After that find and select Disk Management from the Left Pane. And wait for a while. Then Right-Click on the Storage Media. 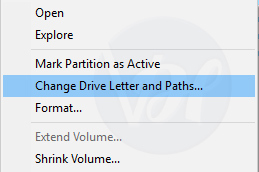 And Select Change Drive Letter and Paths option from there. 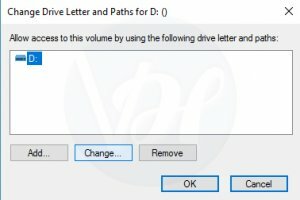 Now click on the Drive Letter option, and Click on the Change option. Then Select a Letter for the drive and then click OK.
With this, you can fix the SD card Corrupted. Sometimes when an SD card is showing corrupted in your System, it might work on other systems. 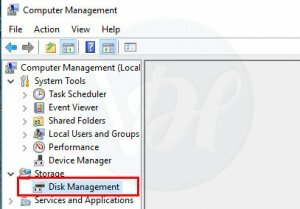 It can happen that “SD Card Corrupted” issue may occurring on your PC only. It can work on another system. So it is recommended that try to connect the SD card on another system it may work and you save your all data. As we have mentioned that the issue of SD Card Corrupted can occur specifically on your System only. On other systems, it can work. The same thing can happen with USB port also. Therefore I will suggest you to try another USB port to connect the SD card. 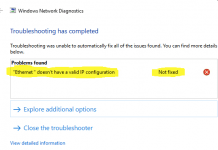 Might be your port is damaged and it can not read the SD Card. Another answer to the question “How to fix corrupted SD card?” is Reinstalling the Drivers of your system. Because sometimes the drivers that run an SD Card on your system get corrupted. And in that case, you need not repair SD Card, all you need to do is reinstall the Drivers. Firstly, Right-Click on My Computer or This PC. Now Click on the Manage option. 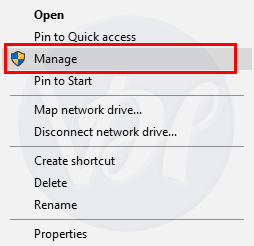 Then Click on the Device Manager option from the left side pane. Now Double-Click on the Disk Drives from there. And then Right-Click on the name of your SD Card or Pen Drive. 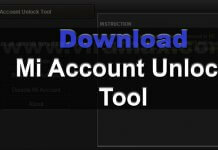 Then click on Uninstall. And Click OK.
Now Disconnect your SD Card or Pen-Drive and Restart your system. 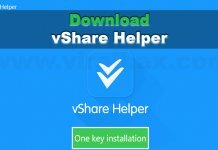 With this, your “SD Card Corrupted” issue will be solved. #Method5: Repair SD card by Formatting. Another way to fix corrupted sd Card or Pen Drive is Repair SD Card that is corrupted using Windows Explorer. For this, you have to follow the steps given below. Note That This process will clear all your Data from the SD Card or PenDrive. That means all the Data of the Pen Drive or SD card will be lost. First of all, Go to This PC or My Computer. Now Right-Click on the Corrupted SD Card. Select the Format option from there. A Pop-up window will now appear. And then Click on the Restore Defaults Option. Now Click Start. And Formatting process will now Start. If you want your system to deep scan the SD card or Pendrive for errors then UnMark Or UnCheck the Quick Format Option. It will now ask you to confirm the Data loss. Click OK.
And Now you can use your SD Card or Pendrive again. In conclusion, I want to thank you all readers that you have visited here and give your precious time to us. Keep Visiting for more updates. And I hope you liked the article and it will help you. Share this article on the social media sites.